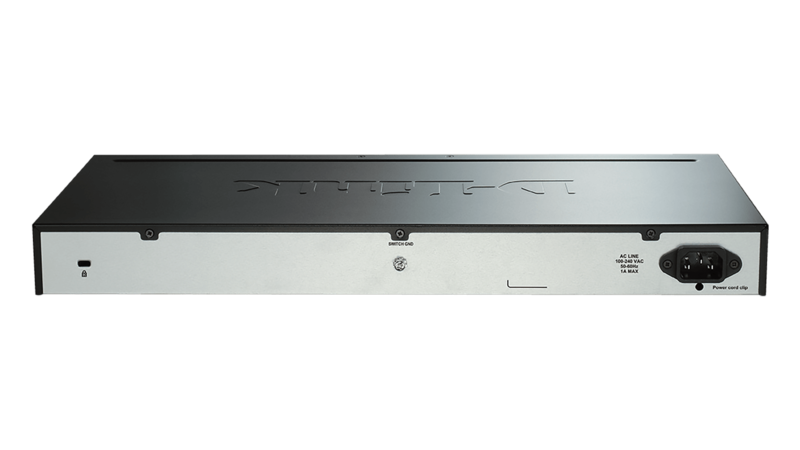 Supports a full industry standard Command-Line Interface for system management. 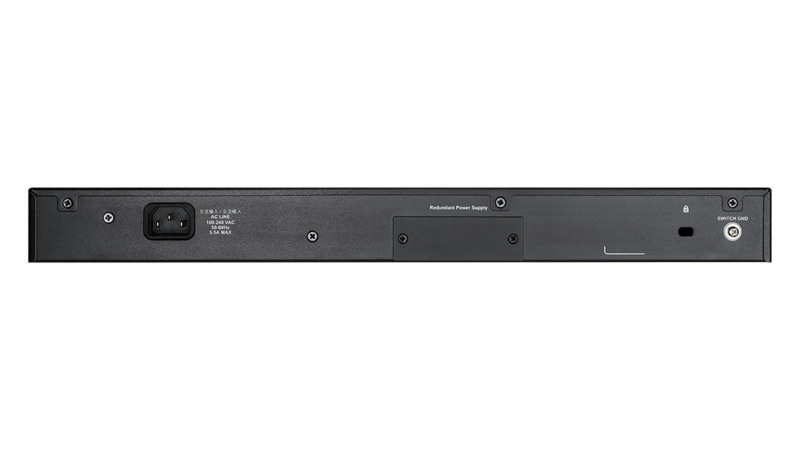 Physically stack up to 6 units for a total of 288 ports. 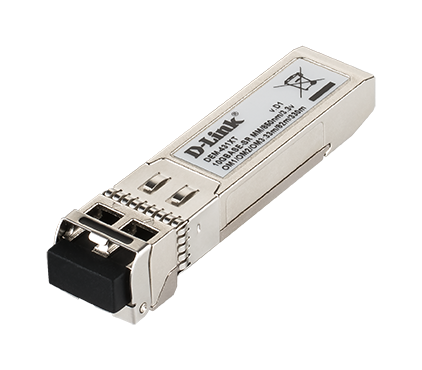 Stack or connect to other areas of your network at 10Gigabit speeds with SFP+ ports. 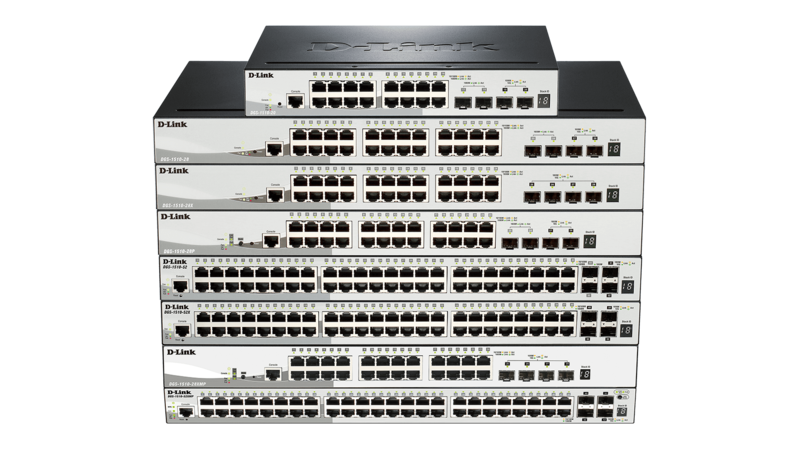 Risk-free firmware upgrades and configuration testing. Route Layer 3 traffic between switches, even if they're segmented in VLANs. 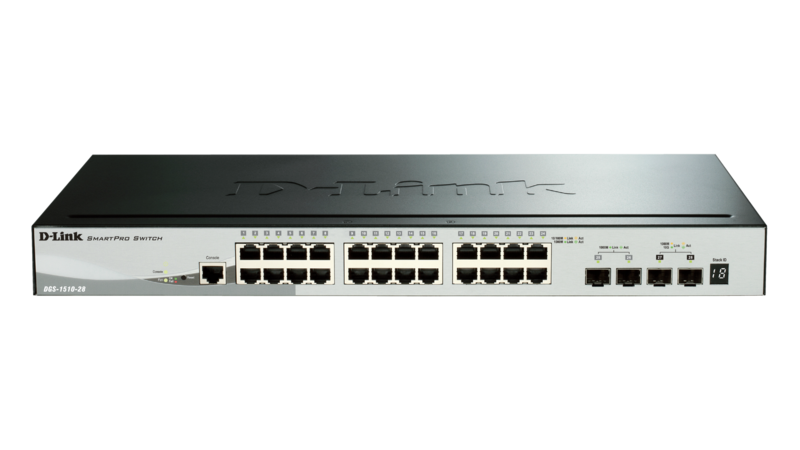 The D-Link DGS-1510 Series is the latest generation of Smart Managed switches with 10G SFP+ fibre ports for physical stacking or uplinks. 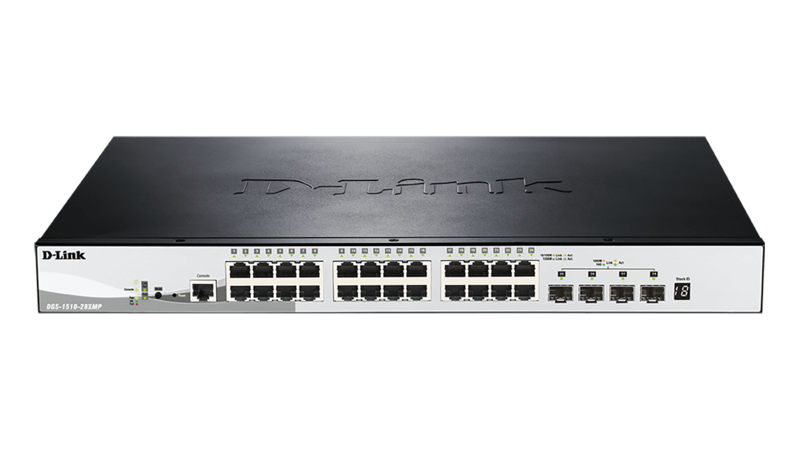 The combination of high bandwidth connections, an Industry Standard CLI, and PoE options make the DGS-1510 Series ideal for Small-Medium Enterprise environments. The DGS-1510 family has advanced network management options, accessible via Industry Standard CLI, Serial Port Console or the Web-based UI, that equip your business with network capabilities such as VLANs, multiple spanning tree protocol (MSTP), link aggregation (LACP), static routing, multiple firmware images, and multiple configuration files. 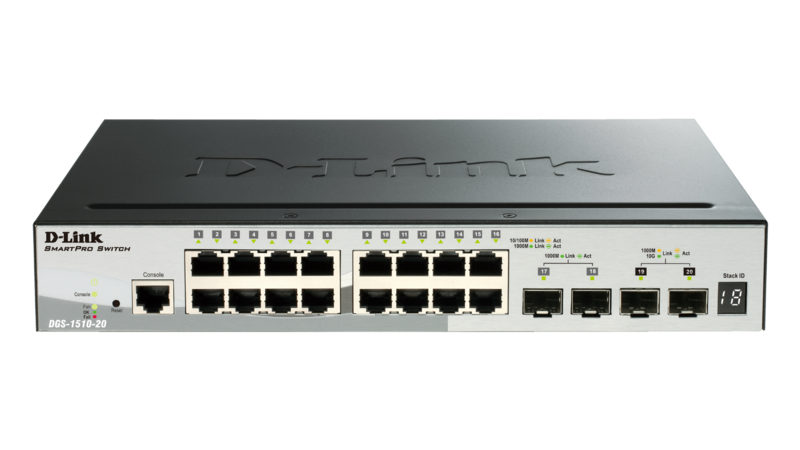 With powerful security features like IGMP snooping, access control lists, port security, and the unique D-Link Safeguard Engine that protects your network against malicious denial-of-service attacks from broadcast, multicast and unicast flooding, the DGS-1510 family is a versatile solution for enterprise network environments. Choose between 193W and 370W power budget options. 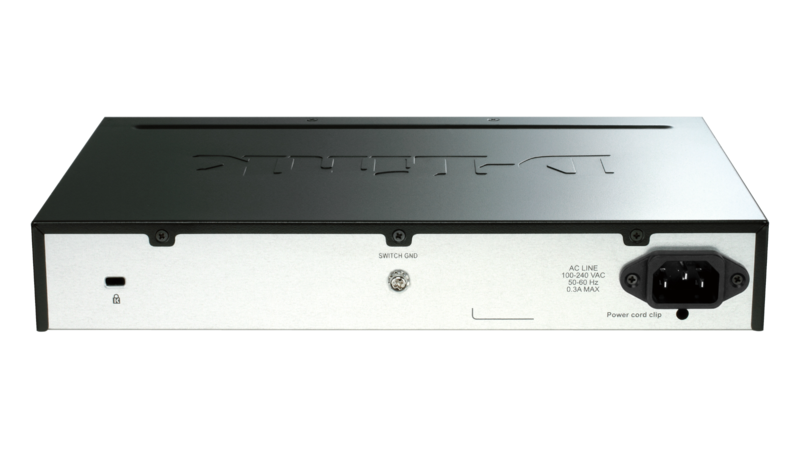 Or utilise a total of 740W when adding a redundant power supply to the DGS-1510-52XMP. D-Link’s free Network Assistant (DNA) displays all connected devices and speeds up the first time configuration. 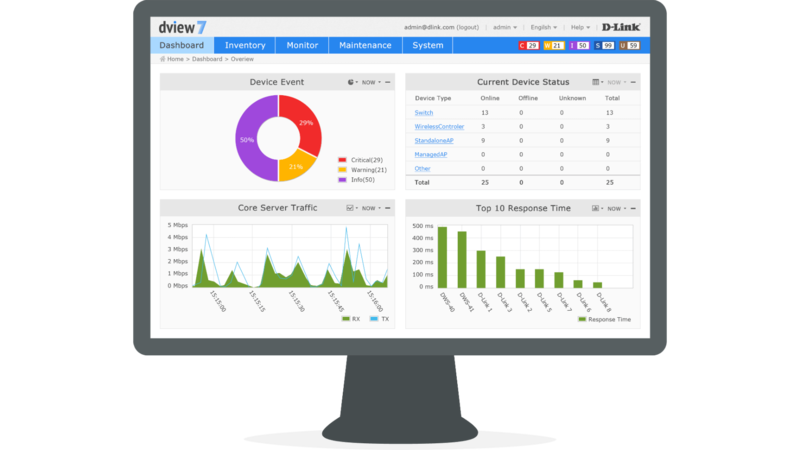 The free D-View 7 Network Management System comes with a license for 25 nodes and 2 probes and full access to the management tools. Optional upgrade licenses allow you to broaden your network and analysis. 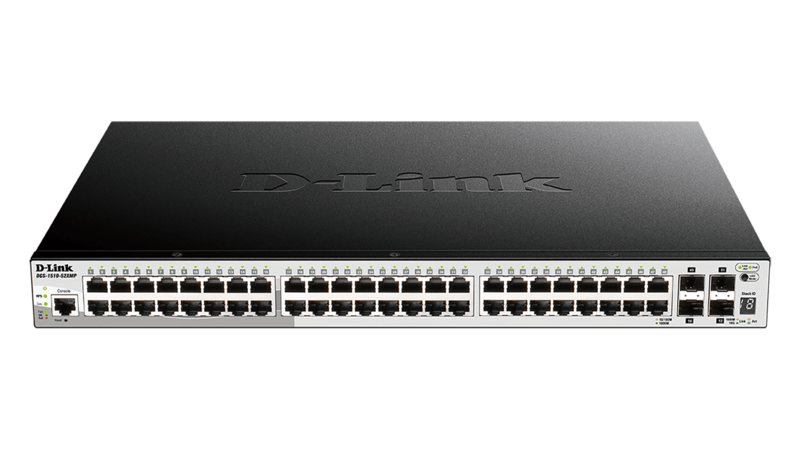 D-Link Green technology enables the DGS-1510 series to save power without sacrificing performance. The entire series feature a smart fan that adjusts fan-speed and only powers on above a certain temperature. 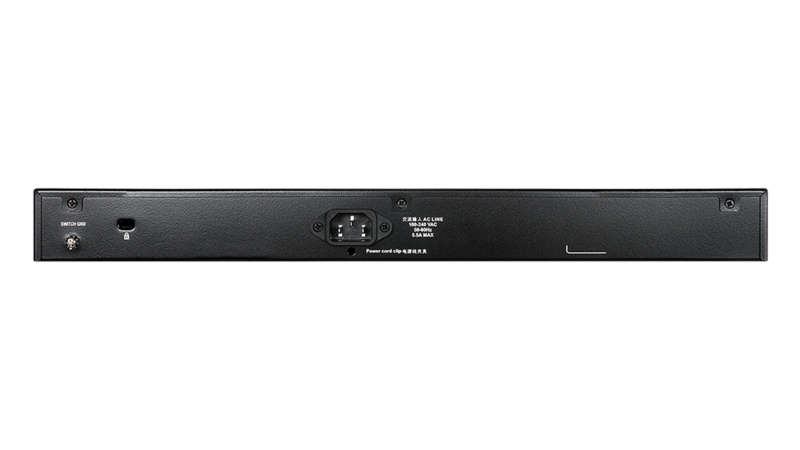 With advanced silicon technology, the DGS-1510 saves up to 73% of energy compared to a normal switch. Our rapid-response technical support is designed to ensure businesses get the best support for their unique environment. 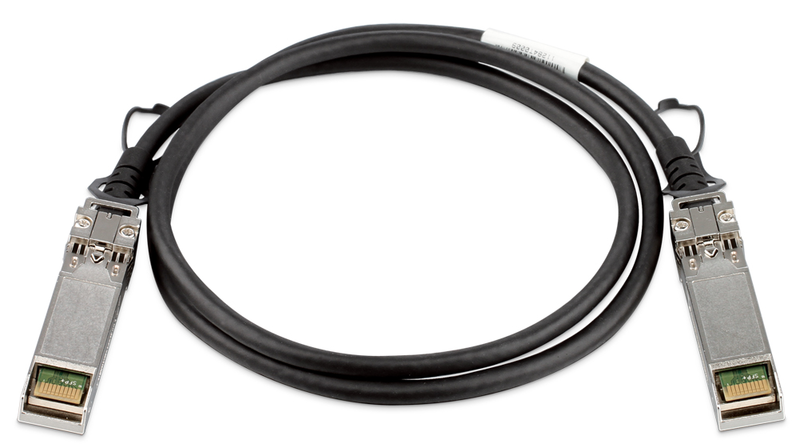 Our extended warranty and enhanced service packages increases the lengths of warranties and further minimises downtime. You can even opt for our Same Business Day Service which guarantees the delivery of the replacement product within 4 hours of confirmation of product failure. 1. 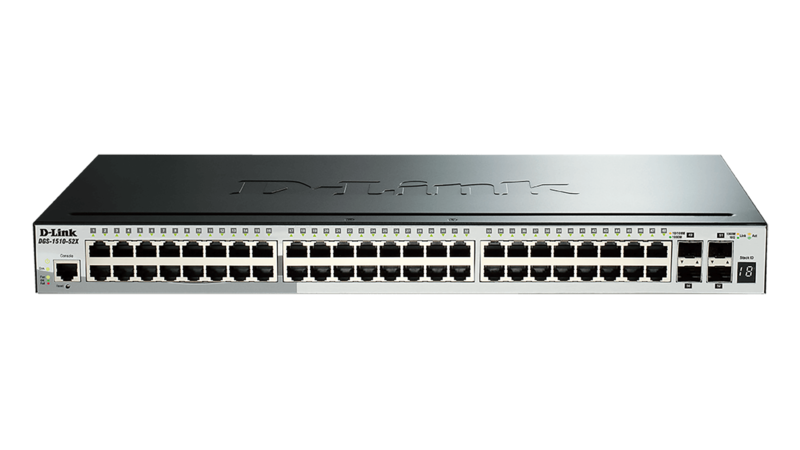 When stacking in a linear typology, the remaining unused SFP+ ports in the stacking port pair of the top and bottom switches will also be considered occupied by the switch and cannot be used for any other purpose. 2. 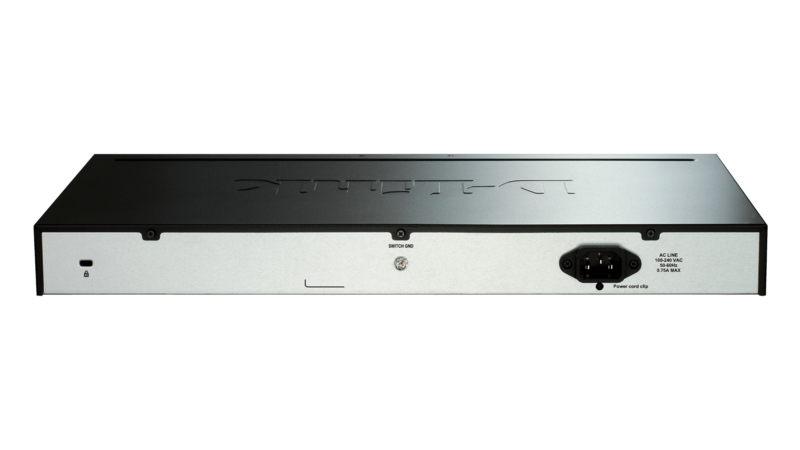 Power Budget of 740W is achieved when using an optional DPS-700 RPS redundant power supply on the DGS-1510-52XMP. 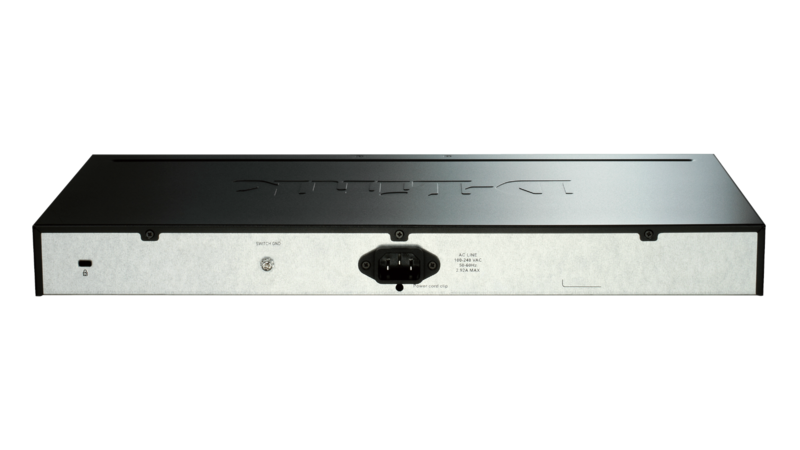 Up to 30W per port.